Still trying to catch up with book reviews but this will be the last for a while as I'm busy over the Easter and until the end of next week really. 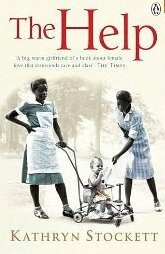 Anyway, I've been meaning to read The Help by Kathryn Stockett for years. 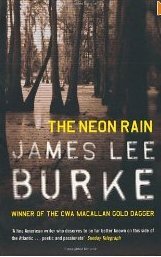 When I signed up for the 2013 Southern Literature Reading Challenge bing hosted by The Introverted Reader I realised that this would be the perfect year to read it at long last. And, at long last, I have! This is a story, set in the early 1960s, and told in the first person but from the point of view of three people. We first hear from Aibileen who is a maid in the town of Jackson, Mississippi. Her employer is Miss Elizabeth a woman who does not appear to like her small daughter very much, primarily it seems because the child is not pretty. Aibileen, as with most maids, is the one tasked with actually looking after the toddler and takes it upon herself to convince the child that she is a good person and loved. Minny is next, she's about to be fired from her job looking after Miss. Walter whose daughter, Hilly Holbrook, is the most popular white woman in the town. Minny is a fantastic cook but can't keep her opinions to herself. Hilly wants to put her mother in a home and engineers a way to do this and fire Minny into the bargain. Minny exacts revenge but we're not told exactly what she does until close to the end of the book. A regular bridge session is held once a week at Miss Elizabeth's house. And this is where we meet Skeeter, who is Eugenia, daughter of a white farmer and his wife, a well-to-do family in the town. But she is different. Alone in the kitchen with Aibileen, almost thinking outloud, she asks if Aibileen ever wished 'things were different'. And it's on this question that the whole book hinges, because Skeeter wants to be a writer, and, crucially she is not at all colour prejudiced. The woman who brought her up, the black maid, Constantine, disappeared under mysterious circumstances while Skeeter was finishing university. Told the woman moved to Chicago to be with her son, Skeeter is traumatised that the woman she thought of as her mother left without saying goodbye. Aibileen lost a grown-up son a couple of years ago. Treelore had wanted to write too and had the idea of writing a book telling the world about the lives of black people in Mississippi. But he had died before he could start. Skeeter finds out about the idea and decides, with Aibileen's help, to write the book herself. She had applied for an editing job in New York, previously, didn't get it, but the woman running the publishing house advised her to get a job with the local paper, and *write*. Anything. Skeeter tells her what she has in mind and the woman suggests she get the testimonies of about a dozen maids in Jackson. Skeeter accepts the challenge, but how to get a dozen very scared maids to talk to her about their daily lives? Their jobs would be on the line after all. I think this was one of the most involving, absorbing books I've ever read. I think it could easily be my book of the year this year. I rarely don't want a book to finish... it's so rare it's almost unknown but I was quite bereft when this finished. I just wanted *more*. I'm not saying the book was wanting in any way, just that I loved these three women so much I wanted to carry on hearing about their lives. The time period here is crucial as things were starting to change in The South. It was the time of the Civil Rights Movement and Martin Luther King. Kennedy was assassinated and so on. Bob Dylan's song, The Times They are a Changing gets a mention in the book and it couldn't be more appropriate, as they were. Against this background we hear of the day to day daily grind of black women in Mississippi. Not just their poverty but the way their white employers treated them. Segregation was of course the norm, but all kinds of petty, horrible little prejudices come to fore, the like of which, to my 21st. century sensibilities, sound appalling. The question of where black maids go to the toilet is a central theme in the book for instance. The whites don't want them to use their bathrooms for fear of catching some nameless 'disease'. Same with cutlery and crockery. The list is endless and, to tell the truth, brings a lump to your throat thinking about it all. The thing about the book is that it's never preachy. The women here tell their story simply and with extreme honesty. But the fear in it is tangible. The maids fear for their jobs and for their families should they be fired. They fear retribution from the KKK if they or their husbands step over the invisible line. Skeeter should feel more safe but she doesn't. She's constantly on the receiving end of endless criticism from her mother because she's tall and 'not pretty' and can't get a boyfriend. Most of all she fears what will happen if her friends find out about 'the book'. I could go on and on and on about this book. I loved it but at the same time was horrified by it. It made me feel that everyone should read it. It should be part of the English syllabus in our schools. The book I read is a library book but I need to get my own as I know I'll want to read it again. I hope Kathryn Stockett is writing something else. I wish it were more about Aibileen, Minny and Skeeter but assume it wouldn't be. Now I need to see the film to see how that compares. 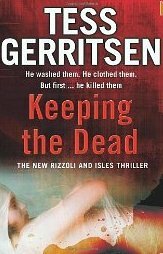 Read this book!!! I finished my first book for Carl's Once Upon a Time VII some days ago but have not had a chance to review it. In fact, I'm two books behind and if I'm not careful I'll be three. So, I'd better stop muttering and get on with it. My first book for the challenge is Rivers of London by Ben Aaronovitch. Peter Grant is a police constable with the Metropolitan Police, just about to finish his probationary period. He's not a bad policemen but nor is he particularly good either. He thinks too much about other things while people like his colleague, PC Leslie May, are getting on with the job. She is destined for a proper police role in The Met, Peter it seems is destined for the Case Progression Unit, the boring, office side of policing where the only thing Peter will get to drive is a desk. Then one night a murder takes place in the Covent Garden area of London. A man's face is ripped off in a manner no one has seen before. Left alone to guard the scene while Leslie goes to get coffee, Peter sees the ghost of a man from another age. The ghost witnessed the crime and saw the murderer change shape before he did the deed. Not knowing whether he should report this odd turn of events, Peter eventually does. And that brings him to the attention of a certain DCI Nightingale. Nightingale is a wizard and heads the section of The Met known as The Economic and Specialist Crime Unit. Except that it's not much of a unit, it's just him and he investigates the weird and wonderful stuff. Suddenly Peter is not headed for the boring CPU, he's been recruited by Nightingale to join his unit and investigate the death of the man at Covent Garden. The case is weird all right. More murders follow and slowly a pattern starts to emmerge. It's too bizarre for words. Even more bizarre is the sort of people Nightingale brings Peter into contact with. A nest of vampires, the god and goddess of the river Thames and their separate families and offspring are just the start of it. His colleague, Leslie, staggered at what Peter has got himself into, tries to help. Then something happens to Nightingale and Peter really is thrown in at the deep end, left alone to solve a puzzle that threatens to destroy the whole city. What a good start to a new series. Well... new to me... it has actually been around for several years now. There were a couple of things about it that stood out for me. Firstly I liked the way the author brought modern-day London into the story. Anyone who knows the city will recognise it here, streets, areas, tube stations, tourist spots, anything and everything gets a mention. I'm not an expert on the city but I know it a bit and it was great fun picturing places like Covent Garden, St. Pauls, The Embankment and more in my head, because I've been there and know it. It is very much modern-day London too. There are many mentions of recent English culture, recognisable to anyone who lives here or who knows England - TV shows, politics, theatres, famous people, the book is really *really* English in a way that I found I enjoyed a lot. The second thing I liked was the imaginative twists that are hard to describe without spoilers. 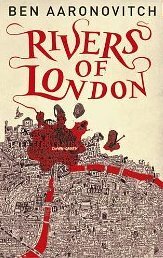 The rivers of London are not actually rivers for instance but I'm not saying what they are. The background to the plot, the reason for everything happening, I guessed early on but it didn't spoil my enjoyment at all. I was able to marvel at the author's cleverness in incorporating this extra element into the murder plotline as I read, and it kept me guessing as to what was going to happen next and how he would handle it. One huge plus for me was the humour: the book doesn't take itself at all seriously. Aaronovitch's writing style is comedic and it shows that he's a writer who has worked on various TV programmes such as Dr. Who. I laughed quite a lot and enjoyed the easy going, self-deprecating feel to the book and to the main characters. I liked Peter, I liked that his appearance is not your run-of-the-mill English policeman look, I liked his wizard mentor, Nightingale, too... hope to read a lot more about him in successive books. In fact, I can't wait to read more, to be honest. I own the second book, Moon Over Soho and have book three, Whispers Underground, on my library pile. There is also a book four, Broken Homes which comes out in June I believe. I'm really pleased that my first book for Once Upon a Time VII was such a good, fun read, hopefully the rest will live up to this great start. Not very spring-like I'm sure we'd all agree. 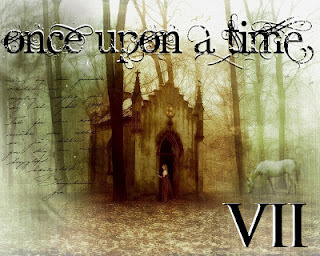 But no matter, while I'm curled up happily in front of the fire (LOL) I can read one of my favourite genres, fantasy, for one of my favourite challenges of the year, Carl's Once Upon a Time VII. It remains to be seen how many of these will actually get read. My normal practise is to get waylaid by other people's choices, find a shiny new series and just read those, or get new stuff from the library! I would hope to read at least three off my tbr pile, but who knows quite frankly! I also must make a confession and that is that I already started the challenge a day or two ago and have almost finished my first book - Rivers of London by Ben Aaronovitch. Which is why book two, Moon Over Soho is sitting there on the shelf, hoping not to be noticed because yes... it *is* a shiny new series for me. Other books I really do want to read... 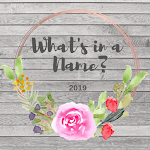 The Name of the Wind, The Lies of Lock Lamora and The Ship of Magic. If I can get just those off the tbr pile that would be a major achievement for me I feel. 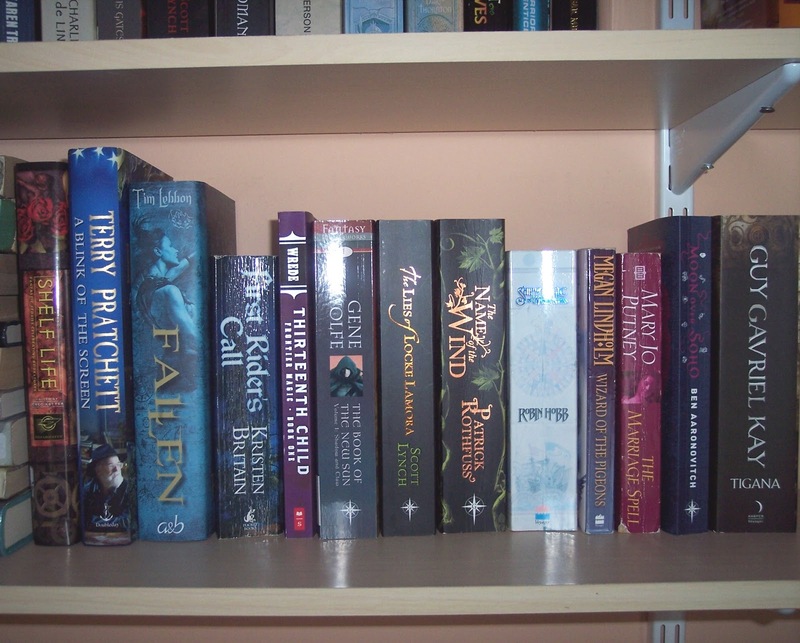 For the short story weekends I have two anthologies, Shelf Life edited by Greg Ketter (bookshop fantasy stories), and A Blink of the Screen by Terry Pratchett. So that's it really. Thanks to Carl for once again hosting and I hope everyone else has as much fun with this as I plan to. The 1st. March is here already, not sure where January and February went, before we know it it'll be Christmas again. 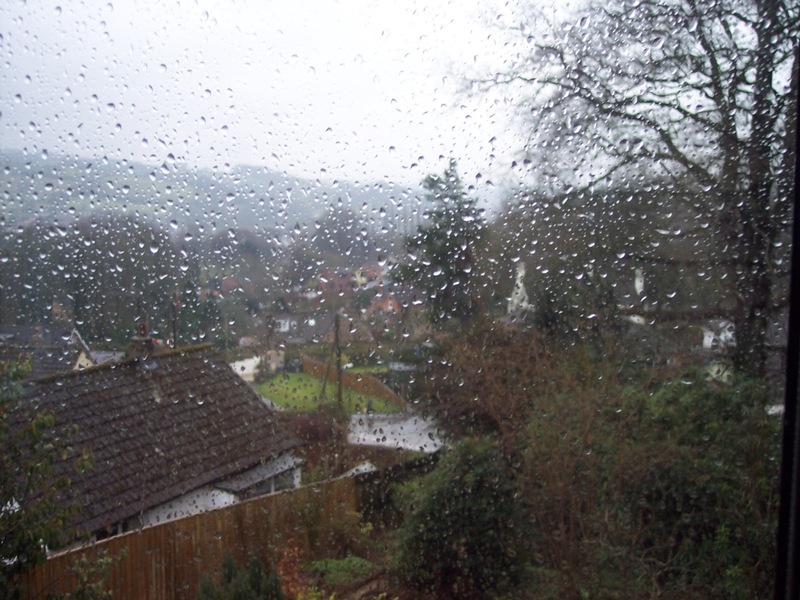 *ducks rotten eggs* Spring should be on the way but it doesn't feel much like it to be honest. I don't mind but my husband, like all keen gardeners, is itching to start planting his seeds and wants to get the garden going for the year. I just hope it's not another wash-out like last year when most of our produce was either eaten by slugs or washed away in the rain. Fingers crossed. 8. The Fall of a Philanderer by Carola Dunn. Daisy and Alec holiday in a Devon seaside village and of course it's not long before a dead body appears. This time though, it's Alec who falls over it at the bottom of a cliff. Huge fun and one of my favourites of the series so far. 9. The Book of Frank Herbert by Frank Herbert. A science fiction collection and as always with these anthologies, some good stories and some average ones. But not bad. 10. Down the Nile by Rosemary Mahoney. The author rows down this iconic river but the book has more to say about Egypt than it does the actual rowing. Terrific book. Highly recommend to other armchair travellers or anyone interested in Egypt. 11. Full Dark House by Christopher Fowler. The first in the Bryant and May series, creepy 'Phantom of the Opera' kind of yarn. Not bad at all but a trifle over-long, although that's just my opinion. I will read more. 12. The Cold Dish by Craig Johnson. The first book in the Walt Longmire series. Very impressed with this excellent crime yarn, set in Wyoming. My husband's now reading it and he's also very impressed. This series could be my discovery of 2013 as John Connolly and Charlie Parker were for me in 2012. So, just five books for me in February. 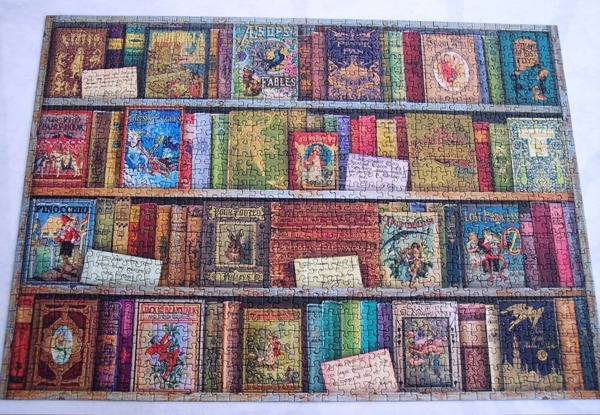 Not really surprised as I also did four jigsaw puzzles and it was also the schools' half-term holiday. Short month too of course. That said, a nice reading month all in all. Favourite read would have to be The Cold Dish by Craig Johnson, closely followed by Down the Nile by Rosemary Mahoney. But Daisy Dalrymple was fabulous too, as always, I hope this series goes on and on. For March, well I'm about to finish a book of horror short stories called. The Monster Corner edited by Christopher Golden. One or two excellent stories in that. 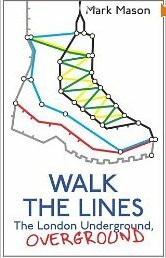 Also reading Walk the Lines a non-fiction by Mark Mason who decided to walk the entire London Underground, 'overground'. It's very interesting and amusing. Other than that I have Walt Longmire, book two, in my sites, Death Without Company, Crooked Letter, Crooked Letter by Tom Franklin has been mouldering on my library pile for long enough, so I'll be reading that for my Southern Lit. challenge. And then I'm not sure what else. Some Space Opera I think as I have several to read. Plus Carl's Once Upon a Time challenge should be starting this month and I have several hefty tomes waiting on my shelf for that: The Name of the Wind by Patrick Rothfuss, Tigana by Guy Gavriel Kay and Ship of Magic by Robin Hobb. That lot should keep me going for the three months of the challenge!